There are a few different warranties in this industry, and before making the purchase, it's important to understand what kind of coverage you will receive. Also, keep in mind that having a great warranty means nothing without a quick and communicative customer service team. To help you make a more informed purchase, we’ll talk about both of these important points. With this option, you are covered under a warranty, but as the name suggests, it is in a limited sense. This type of warranty usually only includes parts that the vendor actually manufactures. Parts such as the lights, heating and cooling fans, and other electrical parts, as well as the lift columns on the workstations, may have separate warranties that can be tiresome to find a solution for if broken. The OEM supplies a warranty to the vendor when they decide to use the OEM’s products in their workstations. This is considered a "pass through" that goes from the OEM to the vendor and then straight to the customer. Sometimes the vendor will assume the responsibility for the warranty. This is what Xybix does; regardless of the OEM, we cover customers for six years on all parts, and we cover five years of labor. As mentioned above, the warranty is paired best with a responsive customer service team. Your customer service team should be the "easy button." The last thing you want to think about when you need assistance is how hard and time-consuming it will be to speak with an actual person. During the buying process, make sure that the customer service team is comprised of easy-to-reach representatives. Better yet, some companies actually measure the efficiency of their customer service teams on response rates. Our team at Xybix has an impressive 98% response rate! A great way to test the response rate of any given customer service team is to simply call in and see if you quickly reach an actual person who is willing to help. As you get vendor recommendations from your peers, taking the time to call each company will help narrow down the top contenders. 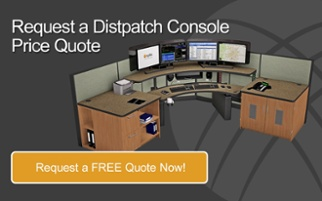 Along your journey to finding new dispatch furniture, it's always important to assess how you will be taken care of before and after the purchase. Make sure to ask the right questions, and gather as much information as you need to in order to feel satisfied and confident with your purchase.